So,I'm writing this post by which we can control all the home devices using Philips TV remote. 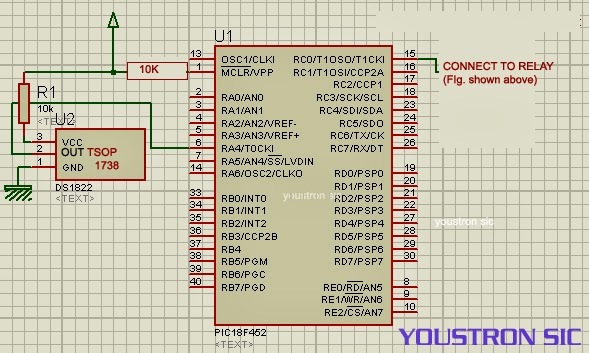 We use Philips remote which works on RC5 protocol. Before going to this section, first we should have clear picture on aim of the project. AIM: Our aim is to switch ON and OFF any of the home appliance by using Philips TV remote which works on RC5 protocol. 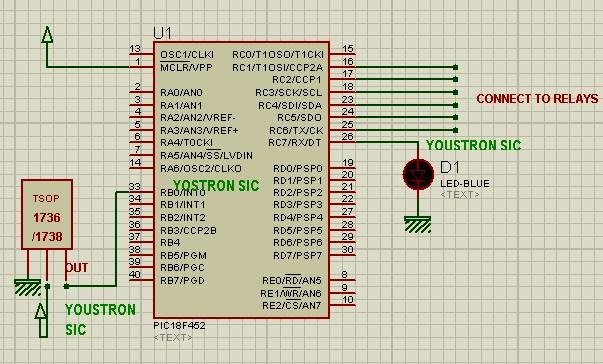 In general to do this, we need something called sensor to detect the IR pulses from TV remote and a relay to switch. 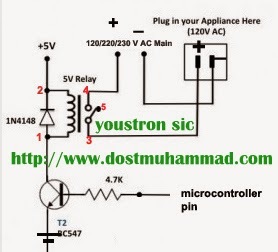 In general the output of Micro-controller gives 5v output but in order to switch ON any home device we require 230v AC , so to get this we use device 'Relay'. Relay acts as switch. Let’s have a look on it, i have explained in dept in my previouspost so i strongly recommend you to refer it for better understanding. Now we need to look at how TV remote sends its pulses when a key is pressed. Only if we understand the protocol (set of rules) only then we can program for it better. As I said earlier we use Philips remote which works on RC5 protocol. 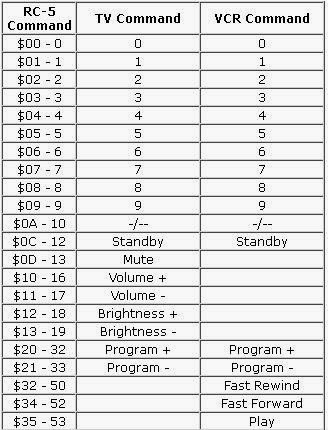 Below are few model numbers of Philips remote which works on RC5 protocol. Lot of remotes works on this protocol, better ask for RC7805 in your local market. In India we find lot of local brands which sell Philips universal remotes costs less than Rs. 120(china remotes ). It is must to understand about this protocol in order to write code by our own. I will not relate this section with unnecessary topics. when we press any key of remote it will transmit stream of pulses. Every remote have its own way of transmitting its pulses. So, let us look at our remote how it sends, what is the order of pulses and which part of stream of pulses we need to process. and for transmitting logical one(1) then 01 will be transmitted..
****i.e for logical '1' low to high transition takes place, for zero high to low takes place.whole logical 1 or zero stands for 1778us i.e half 889us on either sides.. so if we want to check whether it is logical 1 or zero just if we check the 2nd part that's enough i.e for logical 1 second part is 1 and for zero second part is zero. 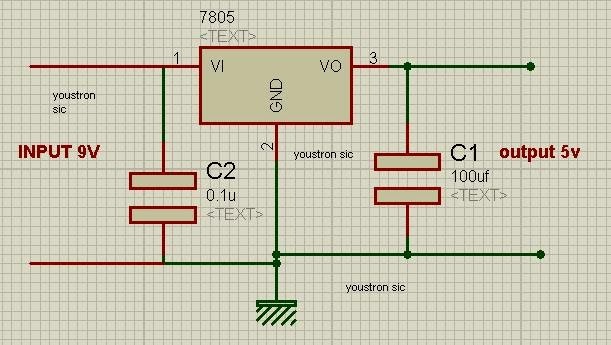 As we use IR sensor like Tsop1738 or Tsop1736 their output is active low i.e whenever a pulse it detect it will give '0' output. so it acts as inverter i.e for logical 1 output from TSOP sensor will be 10 and for logical zero output will be 01. as we are using these sensors we need to check first half to know what actually the bit is, for '1' the first half will be '1' , for '0' first half will be '0'. look below fig. >>Once look at the standard format picture, below pulses are just the example it will change according to the button pressed. we need not to worry about address bits i.e a0 to a3 , we just need the command bits c0 to c5. we don't know when the pulses arrive at the microcontroller, we cannot know when the user press the TV button, so we need to implement a hardware interrupt (int). 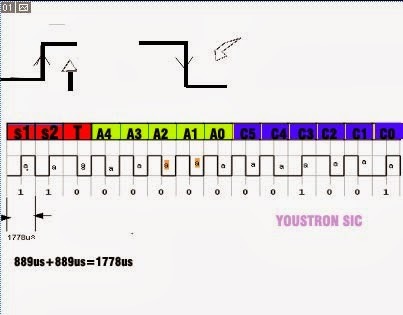 As we know that first two pulses we get are logical 1(s1,s0 always 1) , we know that logical 1 means 10 from the output of the tsop1738 sensor. so we set interrupt for high to low transition for the first pulse, when ever high to low occur an interrupt will be generated,by which we can know that TV button have been pressed. >>Remote will transmit data as long as the key is pressed,so to know actually person pressed the same key again we need to check T bit. when ever a person presses a key, T bit will be flipped, for example suppose we pressed key '1' then T=01 and after some time again we press key '1' or any other key then T will be 10. for every key press it will be inverted. >> we need to start an falling edge interrupt, when ever interrupt occur uc will know that data has been arrived and it has to be saved.Disable the interrupt. >> we need to produce the delay of 1778us in order to take the first bit of 'T' , again we need to produce the delay of 1778us in order to take the first bit of 'A4', again we need to produce the delay 1778us to jump to 'A5', in the same way we take all the bits. 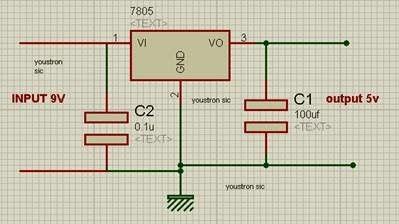 Circuit diagrams:POWER SUPPLY:As we are using 9v input battery , so we need to convert it to 5v using 7805 Ic. *** We need to press the same key twice to enable or disable the corresponding pin. Rather than connecting directly relays to uc, just connect leds for the testing if we get appropriate result then connect relays.. I have tested this code on real hardware. while(allow==0);//when allow flag is 0 then be in this loop for ever. if(took!=toggl)//check the T bit i.e toggle bit with previous one. Suggested by Ravi Teja by e-mail.